On February 9 and 10, Bates’ alpine ski team competed at the Dartmouth Carnival in Lyme, N.H. Here, the alpine and nordic ski teams obtained a combined score of 365 team points, earning a season-high seventh place finish out of 17 teams. While both the men and women of the alpine ski team competed well, the women were the dominant point scorers for this competition, posting strong performances in both events. On the first day, the alpine ski team competed in the giant slalom. Hannah Johnson ‘18 led the women, placing 21st out of 52 skiers with a first run time of 1:04.93, a second run time of 1:05.57 and a combined time of 2:10.50. On the men’s side, Calvin Wilson ‘21 came in 40th place in a field of 50 competitors, hitting 1:03.33 on his first run, 1:04.06 on his second run and a combined time of 2:07.39. Rounding out the scoring on the women’s side was Sierra Ryder ‘18 in 25th and Hannah West ‘21 in 26th, skiing combined times of 2:11.54 and 2:11.66. In total, the women earned 60 points in the giant slalom. Maximilian Schneider ‘21 came in second for the Bobcats with a combined time of 2:08, placing 44th. Tagert Mueller ‘20 was third in 46th place and finished with a combined time of 2:10.34. The men earned 25 points total in this event. The Bobcats shined on day two of the Dartmouth Carnival, competing in the slalom event. Twins Griffin Mueller ‘20 and Tagert Mueller led the way for Bates, placing 12th and a personal best placement of 20th out of fields of 52. Griffin Mueller hit 55.24 and 55.42 in her runs, with a combined time of 1:50.66 and Tagert Mueller skied a time of 54.12 on his first run and 53.06 on his second for a combined time of 1:47.18. The women showed their strength in this event with four top-thirty finishes. Coming in behind Griffin Mueller was West in 15th with a time of 1:52.19 and Johnson in 28th with a time of 1:55.14. Following close behind Johnson in 29th was Ryder with a time of 1:55.37. The women received 76 points for their effort in this event for a total of 136 points overall in the carnival. For the men, Wilson came in 42nd with a time of 1:50.78 and Joe Gillis ‘21 followed in 43rd with a time of 1:50.91. The men earned 42 points in the slalom and 67 points total last weekend. She continues to note that the men’s team is unfortunately currently lacking one of their key skiers, Michael Cooper ‘19, due to a back injury. “The circuit that we ski on is always filled with incredible ski talent and, in my opinion, it has been getting harder almost every season with many schools recruiting top athletes from national teams [which makes] the carnivals exciting, but also very difficult. Regardless, we are all working very hard and I am hoping that we get some more personal bests these next two weekends,” Ryder finishes. The alpine ski team will continue their season next weekend at the Williams Carnival held at Jiminy Peak in Hancock, MA. This will be their last carnival before the NCAA regional and national championship competitions. The Men’s Squash team (9-8) posted a fourth place finish at the NESCAC championships, defeating Amherst 6-3, but falling to two-time defending national champion Trinity 8-1 on Feb. 2. 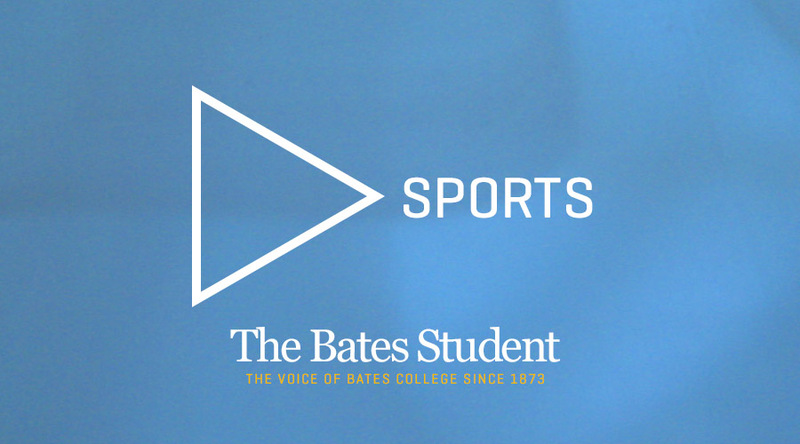 The next day, Bates went up against Middlebury in the third place match, but ultimately fell 5-4.